As CarsDirect’s resident pricing analyst, Alex offers must-know analysis of pricing & incentives to those looking to buy or lease a car. His consumer-oriented coverage of the latest trends and breaking news has been featured in publications such as Car and Driver, Motor Trend, Automobile Magazine and Autoblog. Shoppers hoping to scoop up one of the first deals on the all-new Mazda3 Hatchback may want to wait. Based on our analysis of the latest offers, the small 5-door is commanding a big premium next to competitors, up to $84/month more than the Honda Civic. It can even be more expensive than a CX-5. Here in Los Angeles, Mazda's first lease on the 2019 Mazda3 Base Hatchback is $275 for 36 months with $2,499 due at signing. The deal comes with an allowance of 12,000 miles per year and equates to an effective cost of $344/month. We consider this one of the worst deals on a small car. At the same time, the 2019 Honda Civic 1.5T LX Hatchback is listed at $199 for 36 months and $2,199 at signing. It has the same mileage allowance but an effective cost of $260/month. That's an $84/month advantage over the 3, adding up to $3,024 over the course of the lease. Alternatively, you could lease the 2019 Toyota Corolla SE Hatch from $219 for 36 months with $1,999 at signing. That equates to an effective cost of $275/month, $69 less than the 3. There are also some surprising options for upgrading in terms of performance and vehicle size. For example, the manual-transmission Civic Si is listed at $229 for 36 months with $2,399 at signing (for either the sedan or coupe), an effective cost of $296/month. That's $48 less than the 3. Or, for $20 more than the 3, there's also the 2019 Subaru WRX (with manual) for $309 for 36 months with $1,963 at signing ($364/month). If you want the versatility of a large cargo area but don't want to pay a premium, consider the Mazda CX-5. Curiously, the 2019 CX-5 Sport is listed at $235 with $2,499 due at signing, or $304/month. That's $40 less than the 3 despite the fact that it has a higher sticker price. If you're looking for an affordable Mazda3 lease, you may want to wait. 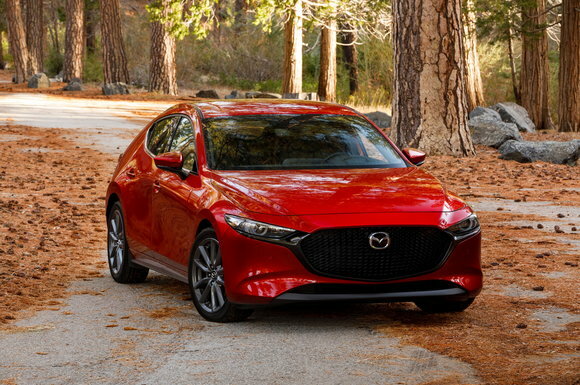 This month, Mazda canceled advertised lease promos on the 2018 model and the best deals are almost exclusively focused on buying instead of leasing with up to $3,000 in rebates in some parts of the country. 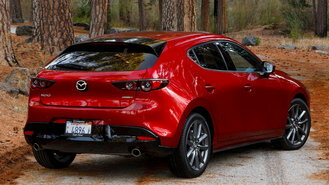 Memorial Day could yield some sort of bonus, but we think it's unlikely on the new Mazda3. Mazda's holiday promos typically vary by region and focus on select models. Offers tend to emerge right before holidays, so we may not know till practically the last minute. Stay tuned for our special Memorial Day coverage in mid-May. Find the best discounts and cash rebates in your area. We’ve helped customers so far today get an unbelievable lease offer.